The new generation BMW 5-Series has scored impressive full marks at the latest crash tests held by Euro NCAP. Lauded for his new architecture and constantly upgraded safety features, the luxury sedan secured 85 percent in Child Occupant, 59 percent in Safety Assist and 91 percent in Adult Occupant categories. 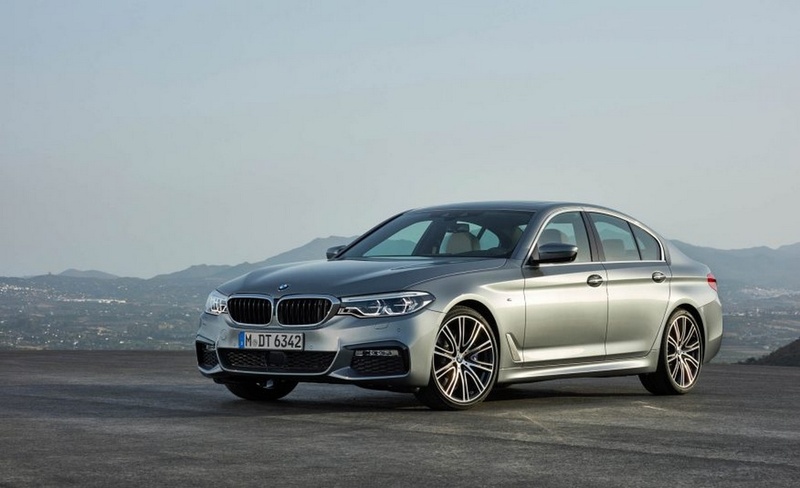 Moreover, in terms of Pedestrian Safety, the new 5-Series achieved 81 percent due to the presence of Person Warning system and active bonnet as standard fitment. 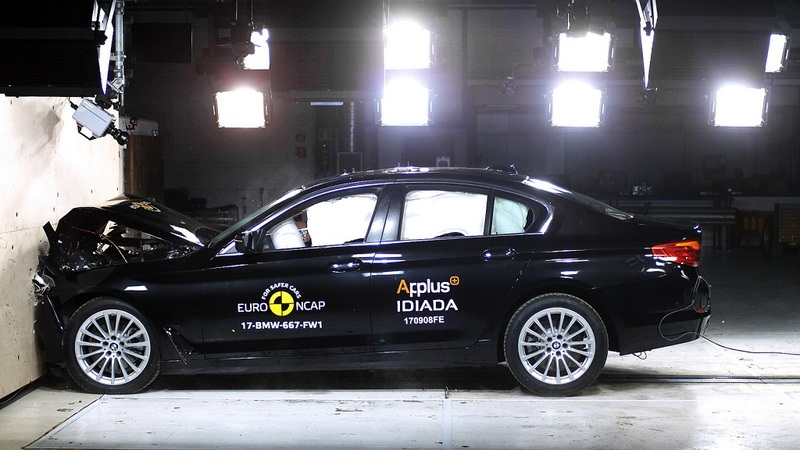 With more driver assistance systems, Euro NCAP believes the new 5-Series will transform safety standards in the years to come according to the safety specialist’s Secretary General, Michiel van Ratingen. It was tested along with the 2017 Fiat Doblo which scored only 3-star safety rating with 25 percent in Safety Assist, 57 percent in Pedestrian, 46 percent in Child Occupant and 75 percent in Adult Occupant. 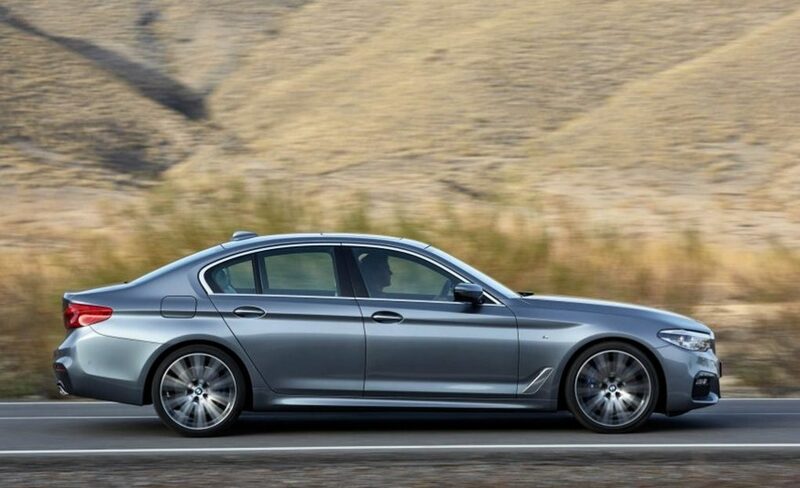 The 2017 BMW 5-Series derives design cues from its larger sibling, the 7-Series, with an evolutionary approach rather than a complete revolution. The newly designed alloy wheels, dual exhausts, chrome touches and aggressive bumpers do make the 5-Series standout in the crowd. On the inside, it features enlarged touchscreen iDrive infotainment display with satellite navigation, digital instrument cluster, etc. Constructed on the new Cluster Architecture platform, it is proportionally larger with increased cabin room and lighter for better riding experience due to the extensive usage of aluminium. Totally six powertrains are offered in the international market. The transmission options will be either a six-speed manual or an eight-speed automatic gearbox, with all-wheel drive system for several variants. The latest iDrive infotainment system with a high-res 10.3-inch touchscreen is equipped with voice recognition and motion-sensing gesture control. A new, full-colour HUD is 70 percent larger and can show info from traffic signs, music tracks, etc. The important safety systems are stereo camera, Lane Change Assistant, lane keeping with active side collision protection, Active Cruise Control system comprising Speed Limit Assist and an optional Remote Parking function. It is expected to launch in India during the second half of this year and will compete against the likes of Mercedes E-Class, Audi A6, Jaguar XF and the Volvo S90 sedan.